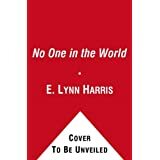 No One in the World by E. Lynn Harris and RM Johnson (Jun 7, 2011) Hardcover - The authors combine forces to tell the story of twin brothers struggling to uncover many questions about themselves and one another. Visible Lives: Three Stories in Tribute To E. Lynn Harris by James Earl Hardy, Terrance Dean, and Stanley Bennett Clay (Jun 1, 2010) Paperback, Kindle eBook ~ The Intern by Terrance Dean is the story of Chase Kennedy's quest for what everyone wants, even if they do not admit it; real and mature love. That is, until he meets Quincy Thornberry, his new intern. Is It Still Jood To Ya? By James Earl Hardy highlights the relationship between Mitchell Crawford, a New York Times best-selling author and Raheim Rivers, actor and Oscar nominee. It is not what happens in the story that makes this such a great read, but what this story stands for. Is It Still Jood To Ya? examines trust, disappointment, forgiveness, and SGL (single gender-loving) issues as they relate to love and the entertainment industry. House of John by Stanley Bennett Clay : meet freelance photographer Jesse Templeton III. Jesse, recently burned by lust, finding himself on a sexcursion with a group of his male friends in the Dominican Republic. He planned to pay-for-play until he met Etienne Saldano, who changed the game plan. House of John is what all fairytales are made of. Mama Dearest by E. Lynn Harris (Author) (Paperback - June 1, 2010) Other Editions: Kindle Edition, Hardcover, Hardcover, Hardcover ~ Diva supreme Yancey Harrington Braxton is working her way back to Broadway and beyond—and stirring up drama in and out of the spotlight—in the acclaimed New York Times bestseller from E. Lynn Harris (Author). After being out on tour, the ambitious singer and actress is fired up to move past her recent setbacks—including an explosive romance with NFL tight end John Basil Henderson—and prove her talents are stronger than ever. What Yancey really wants is to star in her own reality TV series, and she’s even found a rich and well-connected lover to make it happen. There are, however, two women fierce enough to derail Yancey’s comeback dreams: Madison B., a hot new bombshell taking the music industry by storm, and Ava Middlebrooks, who happens to be Yancey’s own mama dearest. Not even a stint in prison for attempted murder has curbed Ava’s competitive nature. Now she will bring down her #1 rival—her own daughter—by using Madison B. to turn Yancey’s world upside-down. . . .
Basketball Jones by E. Lynn Harris (Author) (Paperback - Jan. 5, 2010) Other Editions: Kindle Edition, Hardcover, Audio CD, Hardcover ~ AJ Richardson, the hero of Harris's raucous latest, has been the secret boyfriend of NBA star Drayton Jones for seven years. AJ is only too happy to keep their relationship under wraps—after all, with European trips and spending sprees financed by Dray, what's there to complain about? But when gold-digger Judi Ledbetter nets Dray and his fat wallet, things get tricky. Soon, they're married, Judi gets pregnant, and she's gunning to drive AJ out of Dray's life permanently. Blackmail, intrigue and double-crosses round out this fun little romp. Best African American Fiction: 2009 by E. Lynn Harris and Gerald Early (Author) (Paperback - Jan 13, 2009) Other Editions: Kindle Edition, Hardcover ~ Here you’ll find work by both established names and up-and-comers, ranging from Walter Dean Myers to Chimamanda Ngozi Adichie, Mat Johnson, and Junot Díaz. Freedom in this Village : Black Gay Men's Writing 1969 to the Present by E. Lynn Harris (Paperback - November 9, 2004) charts for the first time ever the innovative course of black gay male literature of the past 25 years. Starting in 1979 with the publication of James Baldwin's final novel, Just Above My Head, then on to the radical writings of the 1980s, the breakthrough successes of the 1990s, and up to today's new works, editor E. Lynn Harris collects 47 sensational stories, poems, novel excerpts, and essays. Authors featured include Samuel R. Delany, Essex Hemphill, Melvin Dixon, Marlon Riggs, Assoto Saint, Larry Duplechan, Reginald Shepherd, Carl Phillips, Keith Boykin, Randall Kenan, Thomas Glave, James Earl Hardy, Darieck Scott, Gary Fisher, Bruce Morrow, John Keene, G. Winston James, Bil Wright, Robert Reid Pharr, Brian Keith Jackson, Carl Alan Johnson, Joseph Beam, Randy Boyd, Steven Corbin, David Frechette, Craig G. Harris, and Assoto Saint as well as an array of exciting new and established writers. E. Lynn Harris features appearances by bell hooks, Michelle Wallace, Cornel West, and Angela Davis. Marlon Riggs' 1991 essay "Black Macho Revisited: Reflections of a SNAP! Queen". Marvin K. White's "FOR COLORED BOYS WHO HAVE CONSIDERED S-CURLS WHEN THE HOT COMB WAS ENUF" (1990) still retains its sass and sting. Don Belton's 1994 interview "Where We Live: A Conversation with Essex Hemphill and Isaac Julien," conducted on the heels of Marlon Riggs' AIDS related death. In My Father's House: A Novel by E. Lynn Harris (Author) (Hardcover - June 22, 2010) Other Editions: Kindle Edition ~ Harris wrote this bangup first installment to a projected series about a bisexual owner of a Miami modeling agency. Bentley L. Dean III runs the Picture Perfect modeling agency in South Beach. His father, a homophobic Detroit millionaire, disowned him after he broke off an engagement and had an affair with a male TV sports reporter, and though the agency's been a success, the recession has taken a big bite out of Bentley's business. Strapped for cash, he reluctantly agrees to supply gay, bi or very open-minded eye candy for a VIP party hosted by Prosperity Gentleman's Club, which is run by Emperor Seth Sinclair, a closeted gay celebrity. When Jah, an 18-year-old student Bentley's been mentoring, covers for a no-show model and begins an affair with Seth, big trouble looms. Harris's wry tale about second chances highlights what readers have long loved about his work: his ability to depict the pursuit of love and self-respect, regardless of societal and family pressures. Just Too Good to Be True: A Novel by E. Lynn Harris (Author) (Paperback - June 30, 2009) Other Editions: Kindle Edition, Hardcover, Hardcover ~ Brady Bledsoe and his mother, Carmyn, have a strong relationship. A single mother, faithful churchgoer, and the owner of several successful Atlanta beauty salons, Carmyn has devoted herself to her son and his dream of becoming a professional football player. Brady has always followed her lead, including becoming a member of the church's "Celibacy Circle." Now, in his senior year at college, the smart and very handsome Brady is a lead contender for the Heisman Trophy and a spot in the NFL. As sports agents hover around Brady, a beautiful and charming cheerleader named Barrett enters the picture. Barrett is set on seducing Brady and getting a piece of his multimillion-dollar future. But is that all she wants from him? Is she acting alone? In a story that combines football, family, faith and secrets, Just Too Good to Be True is a sweeping novel that proves once and again why E. Lynn Harris (Author) is a bestselling author. 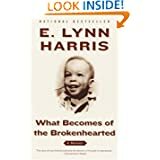 What Becomes of the Brokenhearted: A Memoir by E. Lynn Harris (Jul 13, 2004) Other Formats: Other Binding, Audible Audio Edition, Paperback, Hardcover ~ With his bestselling novels Harris has carved out a niche as a writer of jaunty books with melodramatic plots, usually centering on gay or bisexual black men with riches and rippling biceps. In stark contrast, Harris's memoir is free of the fancy trappings his characters enjoy, starting with the author's suicide attempt in 1990, before he decided to become a writer. From this beginning, Harris goes back to his birth in 1955 and proceeds chronologically, detailing abuse by his stepfather, the awakenings of sexual desire for other men and the discovery of his biological father. Some passages ache for more detail, as when Harris offhandedly mentions working in a brothel at age 13. More often, though, the pace is fitting, giving the book a sense of forward motion as strong as the thoughts of young Harris, dreaming of escape from his native Arkansas. Although he suffers traumas and frustrations as a child, Harris's love life is most heartbreaking. His struggle to find love as an African-American Southern man led to a series of disappointing relationships that taxed Harris's tenderhearted, affectionate nature. He tells this part of his story with such simplicity and straightforwardness, it seems distilled, stripped down to its barest elements until only the clearest emotions remain. Readers of Harris's novels should be surprised at how far from charmed his life was, compared to the troubled but ultimately blissful lives of his fictional characters. Yet they should appreciate the deep honesty with which he describes each stumble and fall. Passion Marks: A Novel ~ Lee Hayes (Author) (Mass Market Paperback - April 24, 2007) Other Editions: Kindle Edition, Paperback, Hardcover - 2003 ~ A very difficult subject -- domestic violence in the Black Gay/Lesbian community.